Training and continuous improvement for Oil Installation key personnel. Mobile offshore units (MOUs) vessels which can be readily relocated and which can perform an industrial function involving offshore operations other than those traditionally provided by vessels covered by chapter I of the 1974 SOLAS Convention. 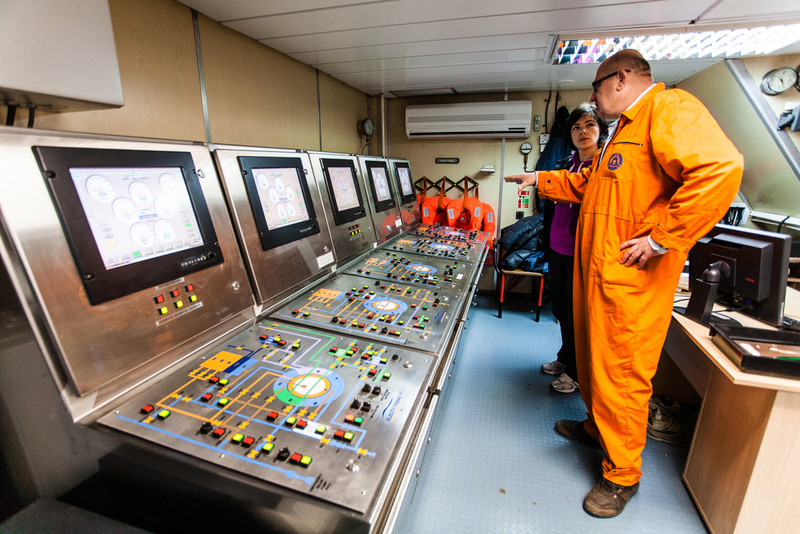 Considering that personnel on mobile offshore units (MOUs) are often required to work under potentially hazardous conditions, and will be in a better position to protect themselves and others in the event of an emergency if adequately trained, IMO adopted Resolution A.1079(28) Recommendations on Training of Personnel on Mobile Offshore Units (MOUs), in December 2013. We offer in our Training Centre in Split the possibility of getting the necessary training to access the key positions on board MOUs, being our certificates valid for the Liberian, Marshall Islands and Vanuatu flag administrations. The course is conducted in accordance to the requirements of section 6.2 of IMO Res. A.1079 (28). The course has a duration of 44 hours. After successful completion of the course and the exam, the candidates will receive an Offshore Installation Manager MOU certificate which satisfies the requirements for Liberian, Marshall Islands and Republic of Vanuatu licences for Offshore Installation Manager. When applying for a licence, additional documents are required. The course is conducted in accordance to the requirements of section 6.3 of IMO Res. A.1079 (28). The course has a duration of 36 hours. After successful completion of the course and exam candidates will receive a Barge Supervisor MOU course certificate which satisfies the requirements for Liberian, Marshall Islands and Republic of Vanuatu licences for Barge Supervisor. When applying for a licence, additional documents are required. The course is conducted in accordance to the requirements of section 6.5 of IMO Res. A.1079(28). After successful completion of the course and exam candidates will receive a Maintenance Supervisor MOU course certificate which satisfies the requirements for Liberian and Marshall Islands licences for Maintenance Supervisor. When applying for a licence, additional documents are required. The course is conducted in accordance to the requirements of section 6.4 of IMO Res. A.1079 (28). After successful completion of the course and the exam, the candidates will receive a Ballast Control Operator MOU course certificate which satisfies the requirements for Liberian, Marshall Islands and Republic of Vanuatu licences for Ballast Control Operator. When applying for a licence, additional documents are required (contact us for more information). This course covers all stability aspects of IMO Res. A.1079 (28). The course is designed for all staff whose activities require a knowledge and understanding of Stability and Ballast Control. Typically this includes Offshore Installation Managers, Barge Supervisors, Ballast Control Operators, Consultants and other personnel. After successful completion of the course and the exam, the candidates will receive a MOU Stability course certificate which satisfies the requirements for the Liberian licence for Offshore Installation Manager/Barge Supervisor/ Ballast Control Operator. This course covers basic stability aspects of IMO Res. A.1079 (28). The course is designed for personnel who do not have any previous stability knowledge or qualification, and whose activities require a knowledge and understanding of Stability and Ballast Control. Typically this includes Offshore Installation Managers, Barge Supervisors, Ballast Control Operators, Consultants and other personnel, who come from a drilling or production background. The duration of this course is 12 hours. On completion of this course, candidates will be able to access the MOU Stability course.